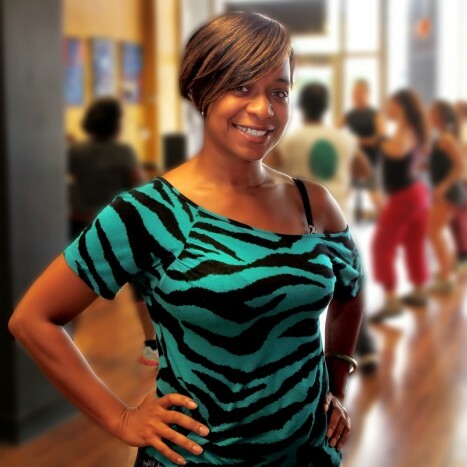 When Salsa Mississippi Studio and Club made a move from Mitchell Avenue to Duling Avenue a few years back, student Shawntel McQuarter never imagined she’d be in the position she’s in now. The 39 year-old McQuarter may have happened into her vocation by chance but she’s doing something enjoyable. “I’ve always wanted to make a career out of something I love,” she says. Salsa Mississippi offers, of course, salsa dance lessons but also a variety of other activities. Take ballroom, Bollywood, belly or hip hop dance or Zumba and kick boxing. And the studio space, on Saturday nights, turns into a dance club. “It’s a club-like atmosphere, but more of a house party environment,” McQuarter explains. “Everybody dances with everybody. You come with one purpose and that’s to dance. Everybody is here to have fun.” A free lesson begins at 9pm and the party is held from 10pm-2am. With 1,400 square feet of studio space, the possibilities are endless for rentals, too. Salsa Mississippi has hosted baby showers, small receptions and graduation parties and also has the ability to bring their portable dance floor to you. Salsa Mississippi has begun their fall internship program and is especially interested in attracting college students who want to learn to dance. Participants enjoy eight weeks of any class Salsa offers – for free. McQuarter says it’s a great way to learn and to fall in love with the dance. The students, in turn, will be required to help welcome dance party goers on Saturday nights and help them learn dance moves as well. The program, taught four times per year, gives students four additional weeks to make up any missed classes. Salsa Mississippi Studio and Club is located at 605 Duling Avenue in Fondren’s historic business district. So proud of you shawntel. Keep going, one day i will be your student!! Hey Tellie! So proud of you! Congrats, you deserve to be in the spotlight! Shawntel, you are doing amazing work. I can’t wait till we dance again.